With our Alpine Holiday Stocking, you are sure to add that Christmas flair in your home this holiday season. 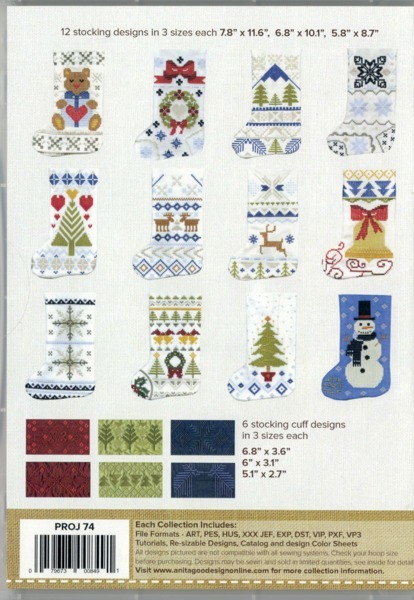 The Alpine Holiday Stocking comes in 12 designs with 6 different tops to choose from. Each design sports its own Nordic theme, allowing you to create all 12 stockings or a few of your choice. Mix and match your stocking with the top of your choice as this project has plenty of options to suit your liking. Decorating your home this holiday has never been easier, so make this holiday extra special with our Alpine Holiday Stockings.